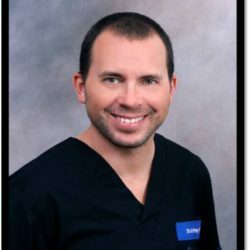 Earning his degree in Medicine at the Universidad Internacional de las Americas in 2002, Dr. Ugalde has been practicing medicine for more than 18 years. He is a citizen of Costa Rica and the United States, earning his Bachelor of Science degree in Health Education and Community Health at the University of Utah in Salt Lake City, Utah in 1992. Dr. Ugalde became interested in medicine when as a child he would join his mother, who was a nurse, on medical mission to Nicaraguan refugee camps during the Nicaraguan War. Impacted by his early years, Dr. Ugalde now teaches Community Medicine to prospective medical students from top universities in the United States and Canada and frequently serves as a volunteer physician in areas of Nicaragua that lack access to adequate medical care.